You + TAO = True Love! 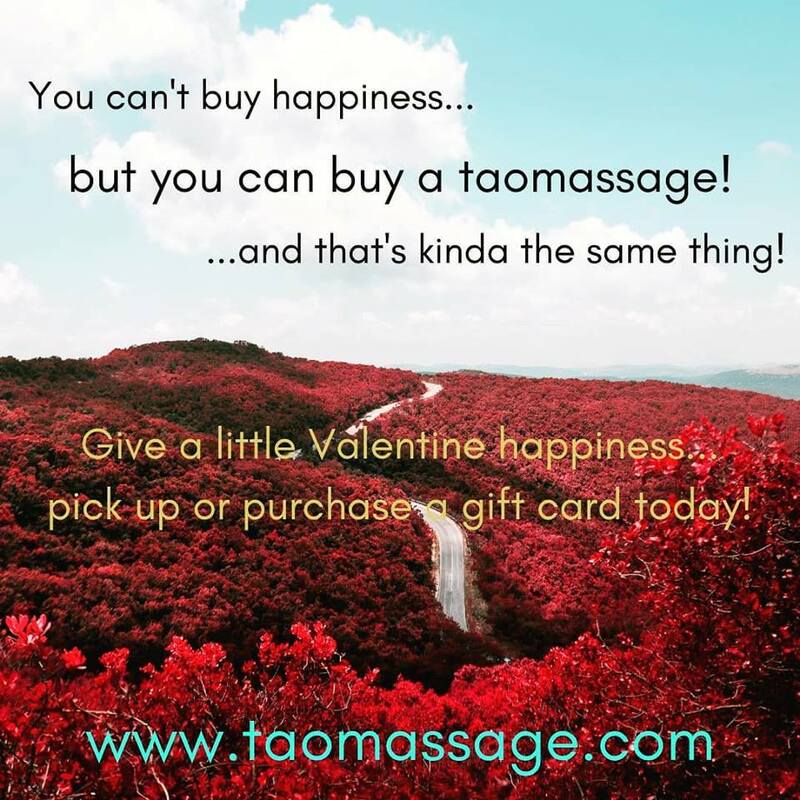 While you can’t buy happiness, you can buy a TAO experience, and that’s kind of the same thing! 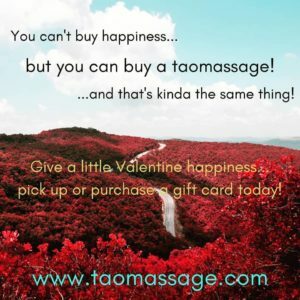 Do you or someone you know need a little Valentine happiness? Let us help take the stress out of this day for you! Gift cards in store or online! And what a smashing day for a service TODAY! Michelle, Candice, Shawanda, Umberto are ready for you! It’s about time for you, today! Purchase a gift online or schedule your own self-care!